Four registered hate groups were listed on the Southern Poverty Law Center Hate Map as operating from Iowa in late July 2018. They are called the Daily Stormer, Gallows Tree Wontansvolk Alliance, ACT for America and Great Millstone. Four hate groups is a relatively low amount when compared to other U.S. states. During the 1920’s the Ku Klux Klan was present in Iowa, making its way into the state shortly after World War I. 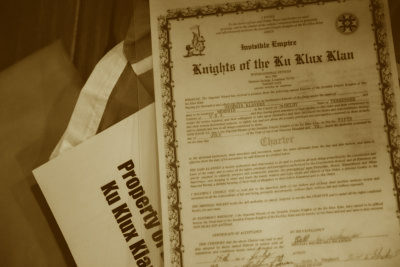 During this time the Klan experienced a national rebirth and membership was soaring to new highs across America. However, as time went on its numbers dwindled. This news quiz shows the extent of white supremacy incidences in Iowa history. U.S. Department of Education data from 155 Iowa college campuses showed 13 incidences of hate crimes on those campuses in 2016, the most recent year for which data exist. This IowaWatch Connection podcast explores what student leaders are doing to overcome the negative impact of bias- and hate-related incidences when they happen.